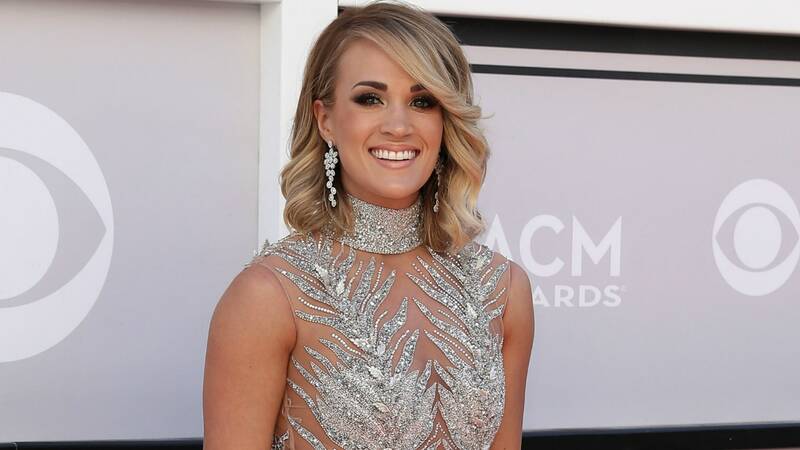 Between her fall, which left her needing 40 facial stitches, and his return to the NHL, Carrie Underwood and hubby Mike Fisher have endured a roller coaster of emotions the last few months. But despite everything going on in their personal lives, the kind-hearted couple posted a selfie — her first since the fall — to raise awareness about a very important cause. The photo suggests Underwood still isn’t quite ready to reveal her scars, as she holds a red “X” over her mouth area. Fisher, meanwhile, bears the mark on his hand. In the caption, the singer reveals that the selfie signifies their involvement with the End It Movement. “Together, we’re in it to end it! Help us shine a light on modern day slavery,” Underwood wrote. She then tagged the End it Movement, an organization fighting for the millions of people each year who are trafficked, exploited and enslaved. There’s little surprise that Underwood would use her platform as a country music superstar to contribute to a solution to this pressing problem. She’s known for her heart nearly as much as she is for her music. Speaking of that heart, Underwood has been wearing it on her sleeve since taking her dramatic spill in mid-November. In an emotionally vulnerable letter to fans in January, the singer explained that the fall she took outside of her Nashville home was more serious than was initially suggested. In true Underwood fashion, though, the plucky performer remained grateful the fall wasn’t worse. She also promised fans she would reveal her scars when she was ready. Although that time hasn’t arrived, does it really matter? Regardless of what lies beneath that “X,” Underwood’s support of the End It Movement proves she’s as beautiful on the inside as she is on the outside. You can help Underwood and Fisher wage the fight against modern slavery by heading to the End It Movement website and creating your own poster.